McCarthy & Stone is the UK’s leading retirement house builder with a c.70% share of the owner-occupied market. The Group has sold over 50,000 properties across more than 1,000 retirement developments since 1977 and is renowned for its focus on the needs of those in later life. McCarthy & Stone’s commitment to quality and customer service continues to be recognised by homeowners. In March 2016, the Group received the full Five Star rating for customer satisfaction from the HBF for the eleventh consecutive year – making it the only UK house builder, of any size or type, to achieve this accolade. 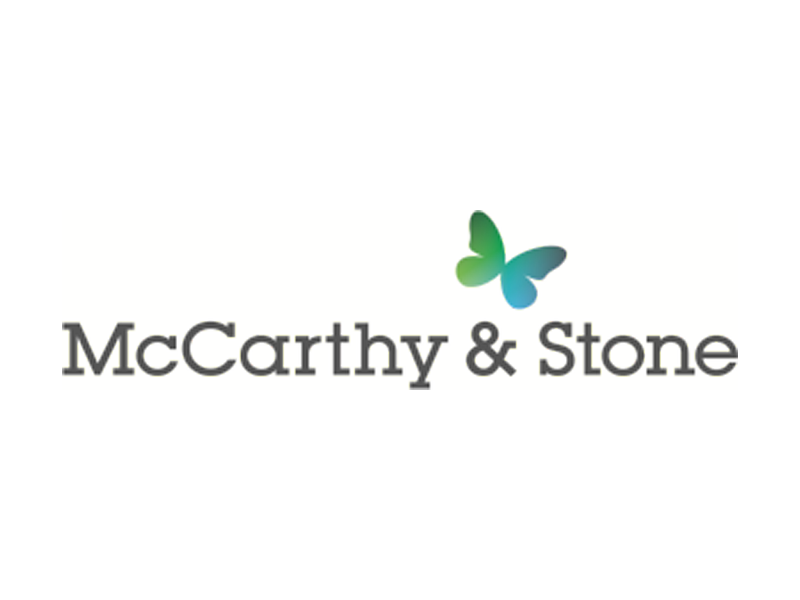 McCarthy & Stone re-joined the Main Market of the London Stock Exchange in November 2015 and re-entered the FTSE 250 following its quarterly review on 21 March 2016. Momentum4 was approached in December 2014 by the CFO of McCarthy & Stone to help build, support and sustain a new working team of a dozen Finance, Legal and other technical staff responsible for delivering the listing of the company on the London Stock Exchange during 2015. The CFO heading up this team had the foresight and experience to be able to look at the year ahead and understand the increased pressures and demands that the team would potentially experience as a result of the listing process. Momentum4’s remit was to help the CFO build a united and resilient team that felt supported, especially when ‘the going got tough’. New skills and tools were needed at individual and team level to navigate the complex issues of the listing process successfully. Momentum4 became the strategic support partner over the course of the challenging year ahead. Momentum4’s strategy was firstly to gain the ‘buy in’ from the whole team, so that everyone felt a part of the process and consequently took responsibility for their own development & outcomes. This was initially achieved by running a session on ‘Resilience’, where the team identified their ‘non-negotiables’ for coping with pressure. This enabled the team to be honest with each other and bought about conversations within the group that may not have occurred otherwise…this initial intervention bought the team closer together. Identified by ‘need’, it was then decided that 1-2-1 coaching sessions would take place every 6 weeks (approx), to ensure that team members had the individual support that they needed. This intervention was backed up with team ‘Away Days’, where business challenges, issues and developments were openly discussed and gave rise to team ‘Power Learning’ work shops, that included topics such as ‘Understanding the weird and wonderful world of others’, ‘Health is Wealth’ and ‘How to be more Emotionally Intelligent’. To keep the support on track, regular conference calls between Momemtum4 and the senior members of the project team were arranged, where needs were identified and ‘next steps’ were discussed and planned. McCarthy & Stone was successfully admitted to the London Stock Exchange at 8am on Wednesday 11th November – delivering against the initial project timeline to the minute. The project team thrived despite the significant pressures of delivering to this timeline and is widely recognized by the company as having produced exceptional performance in achieving the listing. Provided continuous L&D support throughout the listing process, which ensured the team stayed focused. Captured knowledge capital and defined proactive approach by implementing tools and procedures. Created a common language, which was transparent, open and honest. Increased collaboration and cohesion in the project team, which promoted organizational effectiveness and mission delivery. Provided formal and informal recommendations to the project team for improvement throughout project duration. Helped McCarthy & Stone remain on target to meet the listing timeline. Led a closing session post-listing to help document and reinforce the development learning’s through the process. Momentum4 remain a strategic support partner to serve a wider population at McCarthy & Stone.